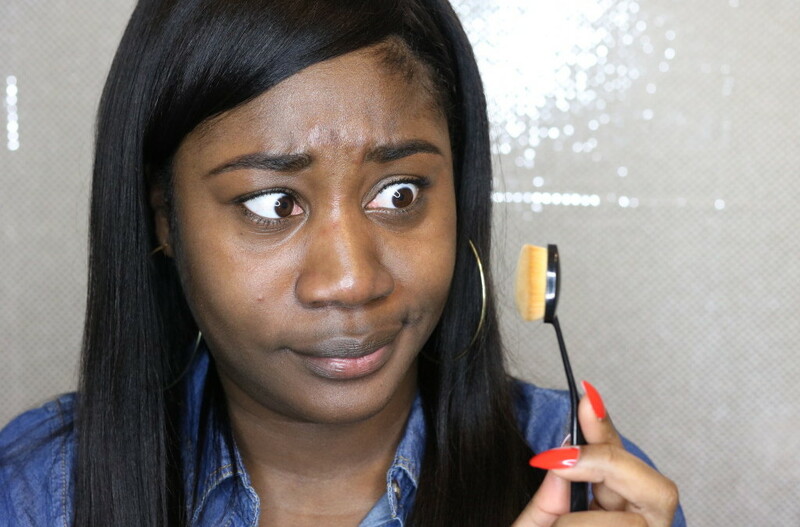 This was my exact face the first time I saw the Bella Schneider Brushed to Perfection Brush. When it arrived for testing I had never had such a unique brush before and I had no idea how to go about using it — but beauty can be an experiment and sometimes a diva has to figure things out! 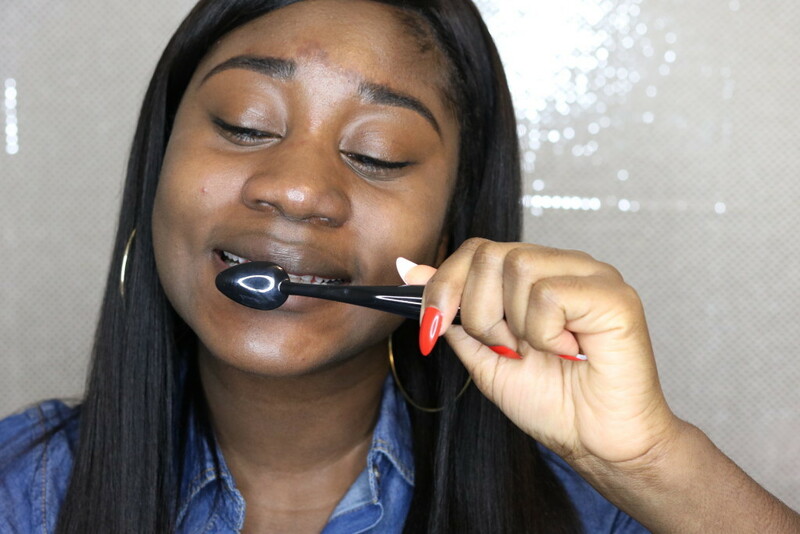 It was hard not to joke around with this brush because I wondered if this toothbrush shaped makeup brush would be the answer to achieving a flawless makeup application?? Already I liked the long handle of the brush. It is slightly curved close to the brush head so it felt very comfortable in my hand. The head is small and the bristles are very soft and dense. So I knew I would be getting full coverage from the brush which is great because my skin has not been my best friend for the past couple weeks. 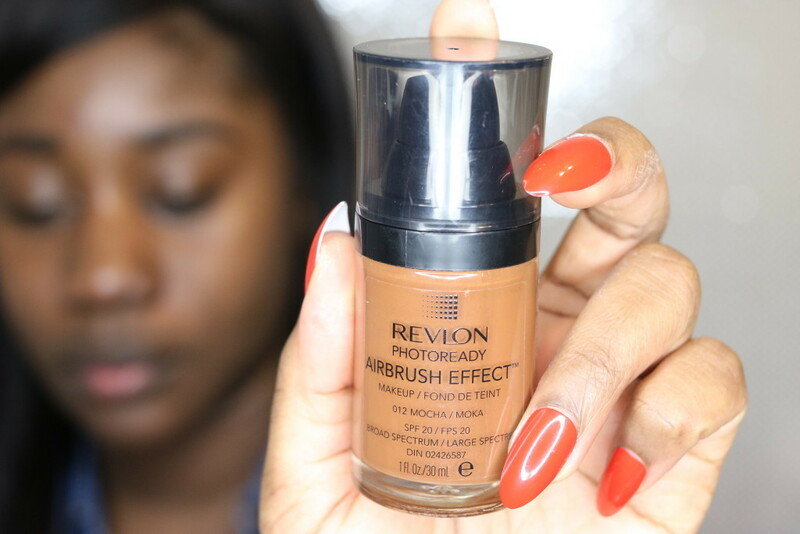 I decided to test out this brush with the Revlon Photo Ready Foundation. This is a foundation that I recently purchased and I wanted to see how it applied with this unique brush. 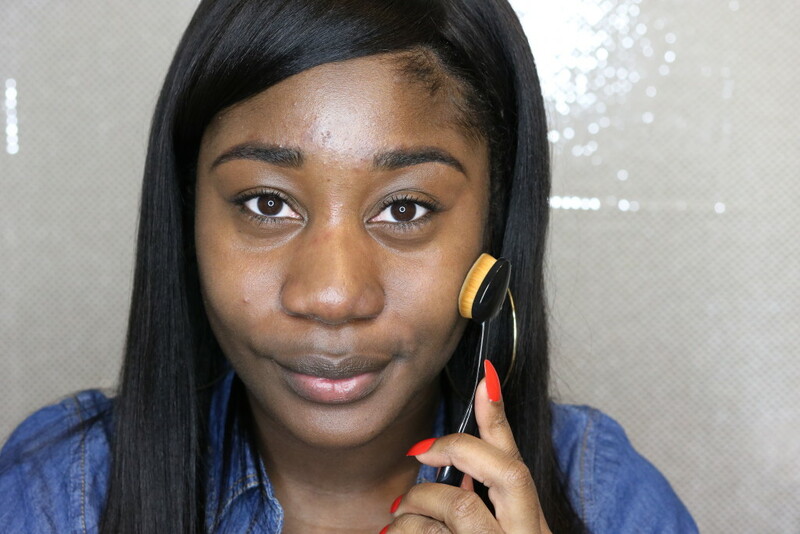 With being so used to traditional foundation brushes, in my initial application I began to vigorously buff the foundation onto my face. I did not like buffing because the bristles are so tight that it just moved my skin around. It was uncomfortable and didn’t do much for actually applying the foundation. I tried a more lighter buffing motion that helped a little but not much. I then decided to try sweeping the brush along my skin and this felt and worked a lot better. The application was much easier for me from that point. I really liked the upside down oval shape of the brush head. It made the application more precise especially under my eyes. I do love the finished look, it’s full coverage and I was able to get into smaller areas that I’m not able to with a traditional brush. I do wish the bristles were a bit more flexible since I had a hard time with the initial application, but this was my first using a brush like this and I wasn’t sure the correct way to apply it. Although I had some issues applying, I am happy I found a way that worked best for me. 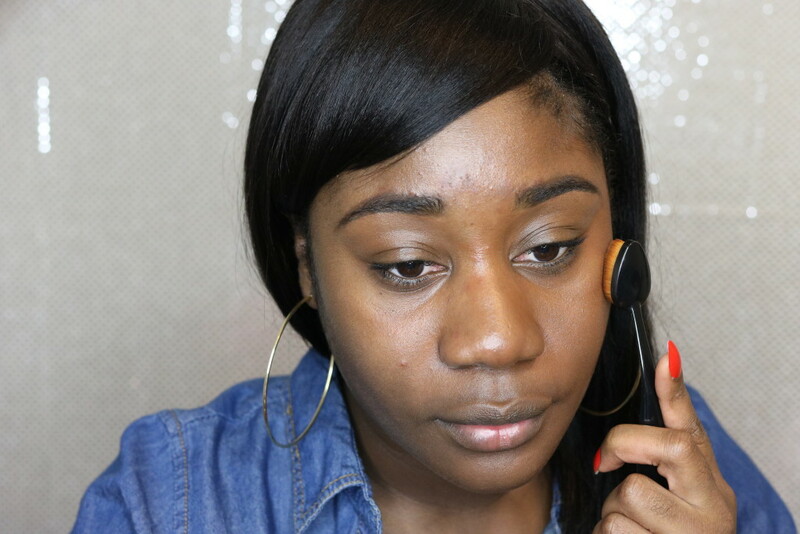 I also learned a small lesson on stepping out of your comfort zone which is something that can be applied to all aspects of life even when you’re doing your makeup! If I didn’t try a different way of using the brush my thoughts on this product would have probably been very different. I personally would stick to my current foundation brush and use this brush for touching up my makeup. The brush is not bulky and can easily fit in a little make up bag. 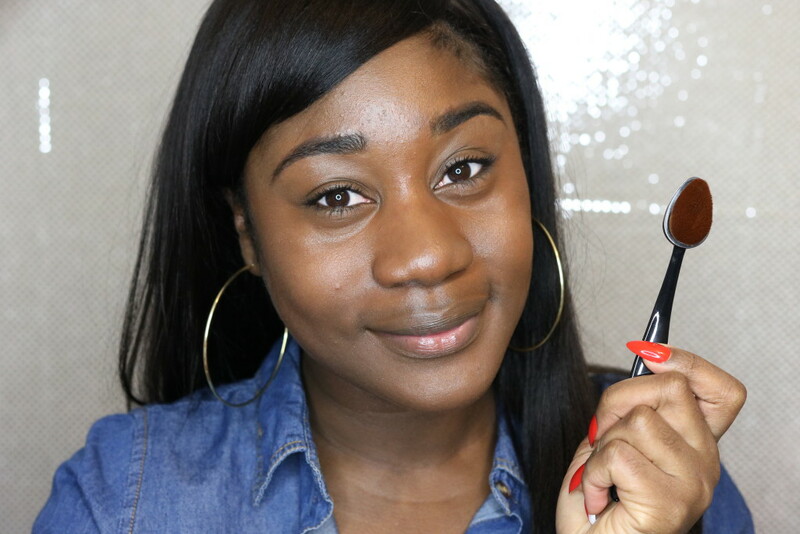 The brush head is small so it will be great for touching up the smaller areas like under the eyes. 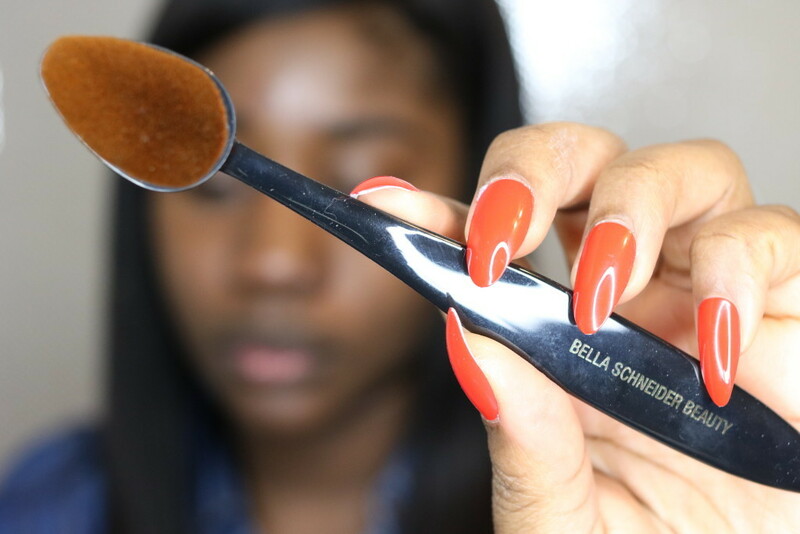 If you Divas have tried the Bella Schneider brush, tell me about your experience in the comments! Note: This post is not sponsored. Thoughts and photos are unbiased and my own. Sample was provided for editorial consideration.